Preheat oven to 350°F. Grease a 9x13-inch baking dish. Combine oats, flax, baking powder, salt, and cinnamon in a large bowl. Stir with a fork or a whisk. Stir in raisins and walnuts, if using. In a separate bowl, whisk the eggs together with the milk, honey, applesauce, and vanilla. Add liquid ingredients to dry ingredients and stir well. Pour mixture into the prepared baking dish. Bake for 30-35 minutes or until middle is set and edges are lightly browned. Enjoy! Serving Suggestions: Serve warm in a bowl with warm milk and top with your choice of fresh or dried fruits and chopped nuts. This recipe also freezes very well. 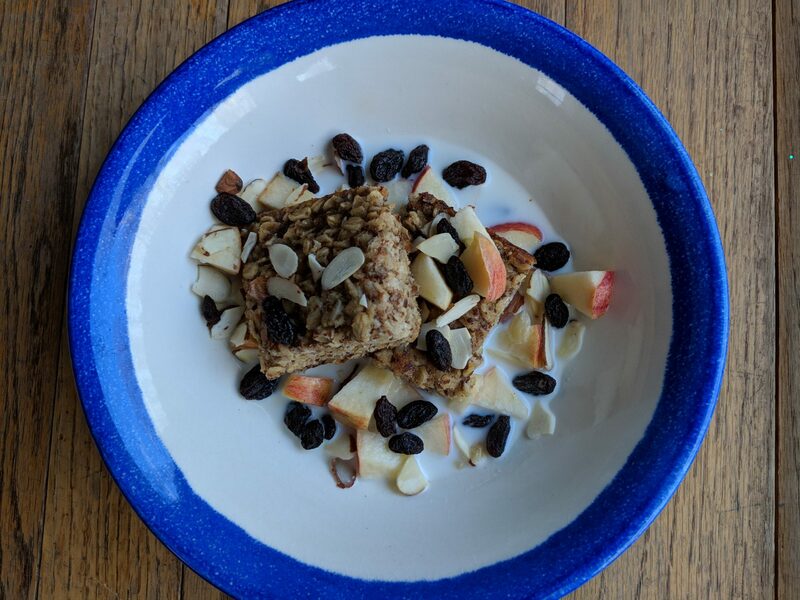 You can cut the cooled baked oatmeal into 16 pieces and freeze them individually to be pulled out for a quick and healthy breakfast or snack on the go!